In 2006, for the first time in my life, I had the opportunity to take a trip off-continent to a country brimming with history: Italy. 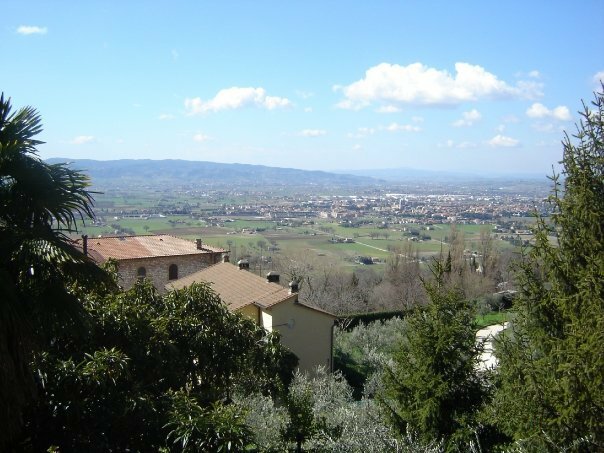 The trip was offered through my high school, and our itinerary included Assisi, Florence, and Rome over the course of roughly one week (March break to be precise). Looking back, the only thing I regret from a trip that included food poisoning, getting lost, and other such fun tales, was that not enough people were willing to do the optional few days added on to see Pompeii, a place I’ve been dreaming of visiting for years. 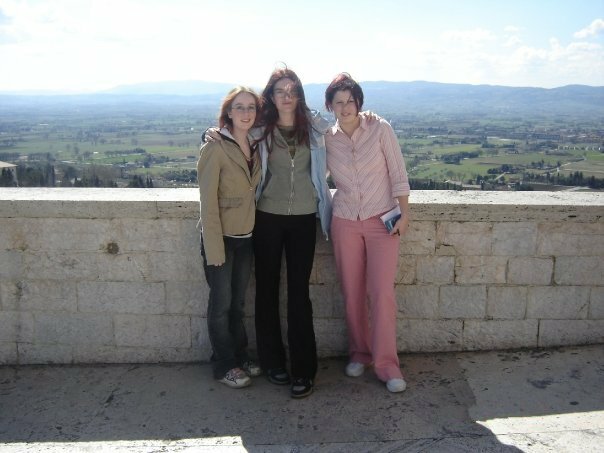 Our first day in Italy consisted entirely of travel, and even though I was likely exhausted and this trip happened almost 9 years ago, I can still recall my travel-weary best friend shouting out, “Marni, there’ s a urinal in our bathroom!” shortly after arriving at our hotel. Thus began our introduction to Italy. 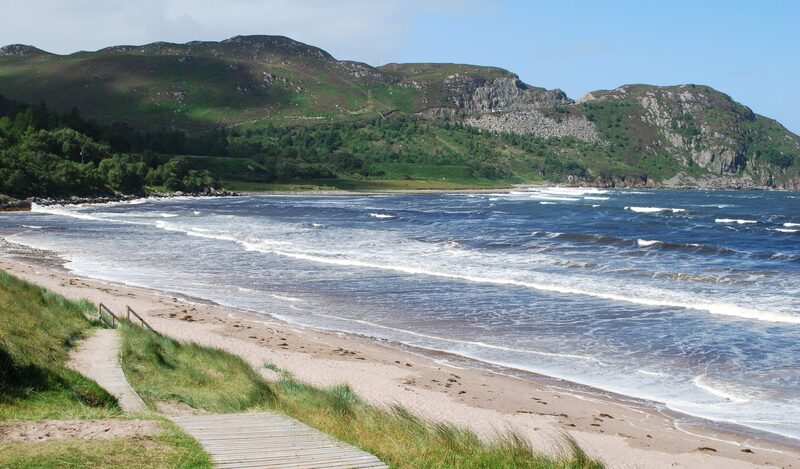 We set off the next morning, fresh and ready to begin our adventure! Our first stop was a warehouse outlet on the way to Assisi. While that may sound slightly sketchy, it was actually a cool experience. We saw various pieces of pottery in varying stages of completion, sampled delicious chocolates, and sipped wine. Perhaps sadly, what I remember most of that part of our trip was the friendly cat who roamed the hallways. 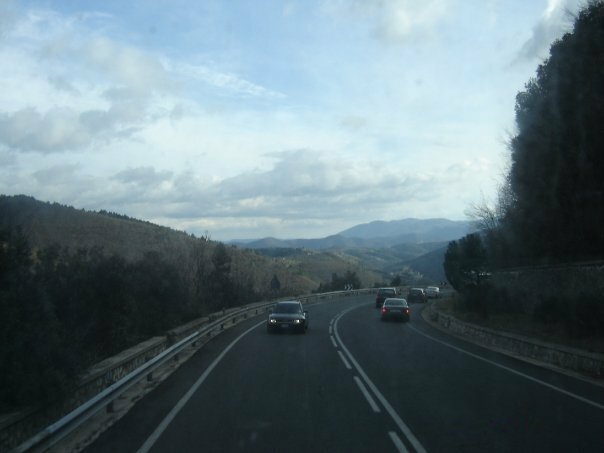 It was also during this tour that we discovered our Italian bus driver was actually a bit of a creep who enjoyed hitting on 16 year old girls. 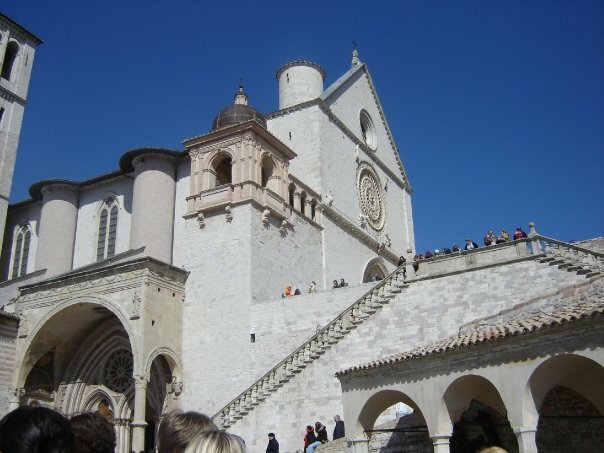 Our next stop was at the completely stunning Basilica di Santa Maria degli Angeli, located at the base of the hill Assisi is situated on. 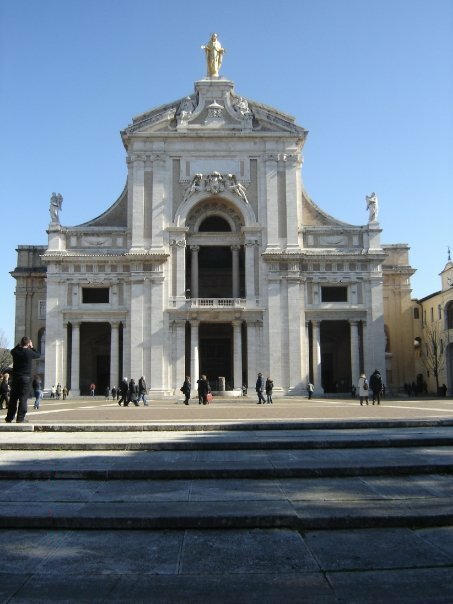 Construction on the basilica began in 1569, and actually surrounds a smaller church, known as Porziuncola. Around 1210, St. Francis repaired the run-down little church, and it is from this church that the Franciscan order was born. Due to the extensive pilgrimage to this little church, it was deemed necessary to expand the site, resulting in the basilica as it is today. On our way towards the basilica, we passed by a group of nuns, strolling silently. 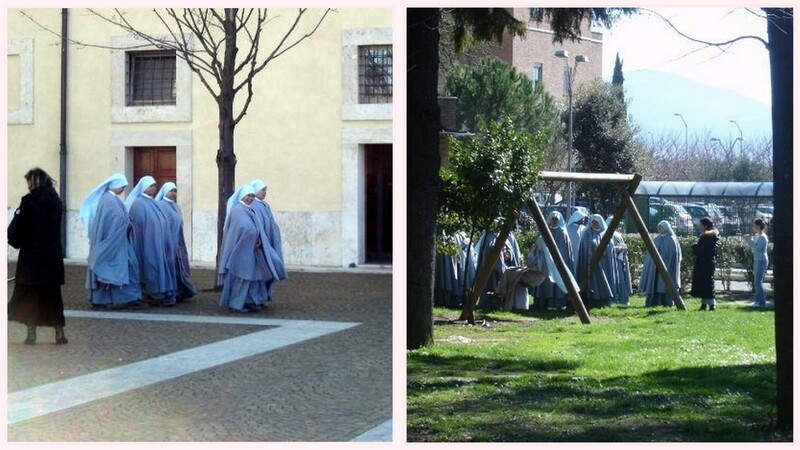 Later on, as we were leaving, the same group of nuns were playfully taking turns swinging high before jumping off, and all were laughing and applauding each other. It was one of those moments in life where an experience is completely different from your expectations. 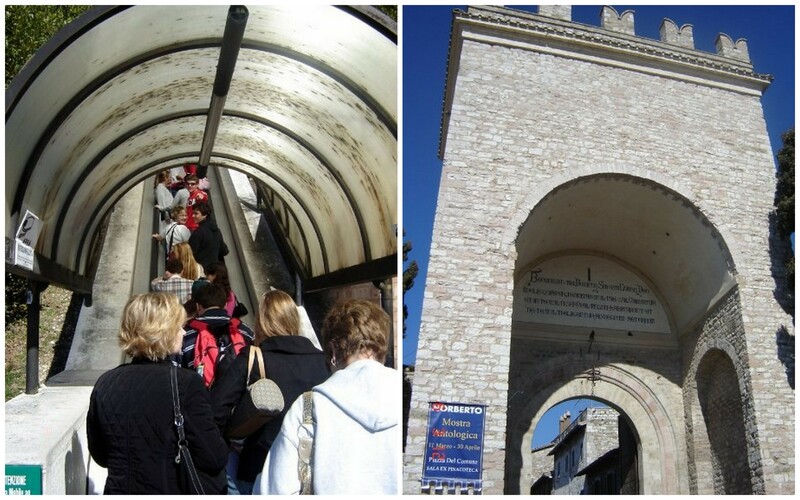 Before our arrival, I never could have guessed how deeply I would fall in love with Assisi. I’ll admit I didn’t know much about it beforehand, but everything we learned completely won me over. The first view of the town is as you step off the escalator – which was a strange enough experience on its own – and the first thought I had was that I had stepped back in time. It didn’t take me long to realize that feeling a bit shell-shocked was going to be a common occurrence during our trip. 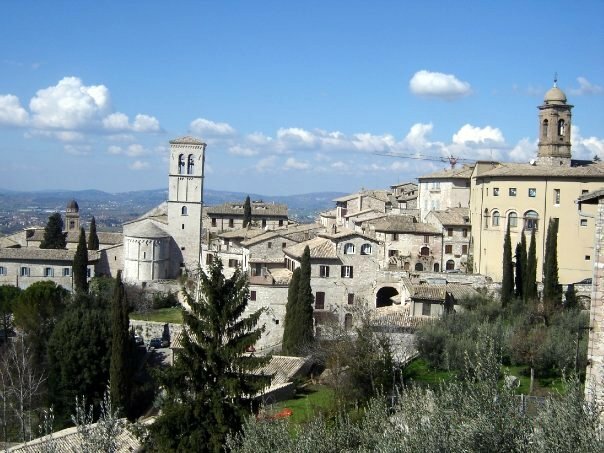 Assisi is known as the birthplace of Italy’s patron saint, St. Francis, and the Basilica of San Francesco d’Assisi is impossible to miss. The imposing basilica is actually comprised of two churches – the Upper Church and the Lower Church. The Lower Church – the entrance of which is located down the stairs – was designed as a large crypt. 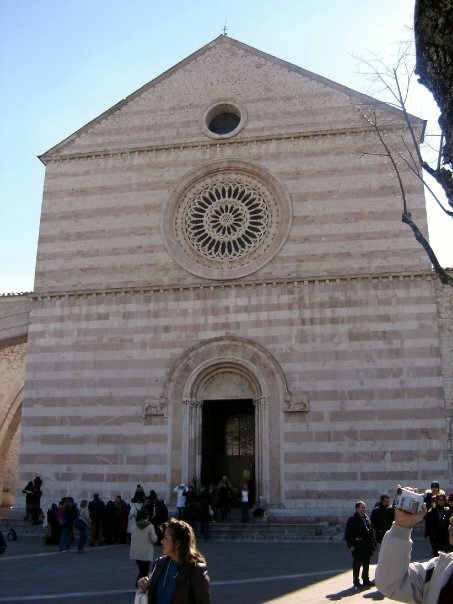 Upon entering, you will find a staircase which leads to the burial place of St. Francis. 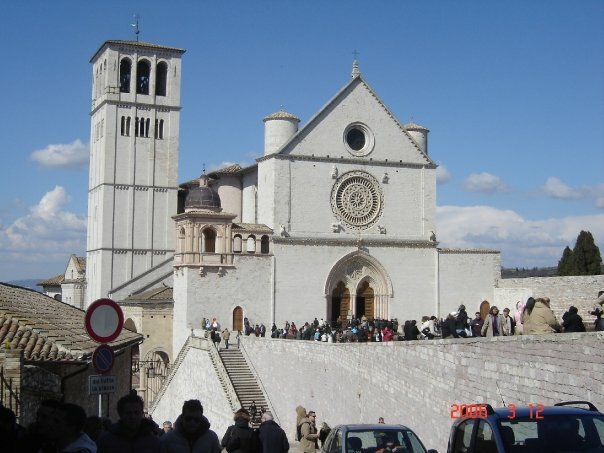 Assisi is also home to the Basilica di Santa Chiara, a church dedicated to St. Clare of Assisi. St. Clare was a friend of St. Francis’ and founder of the Order of the Poor Ladies (today known as the Order of St. Clare or the Poor Clares), inspired by her own poverty and the mandate that the nuns of her order live only on the alms provided them by locals. As with St. Francis, her tomb is located within her basilica. 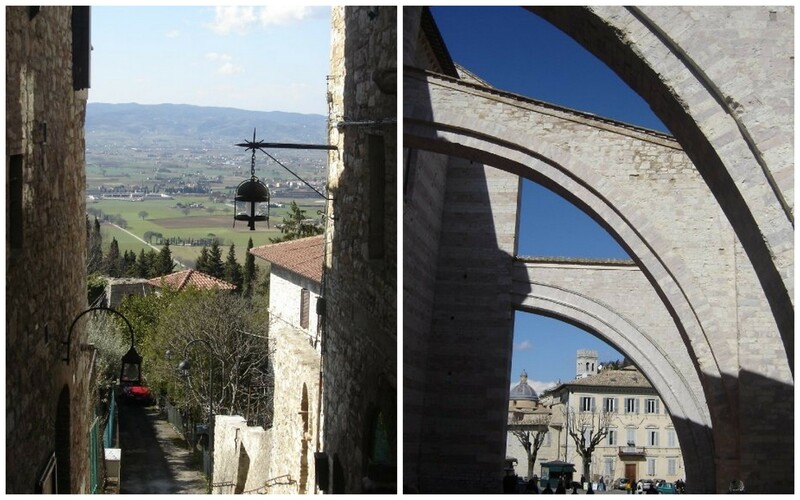 Along with the inspiring basilicas, the view from Assisi’s streets was beyond stunning. 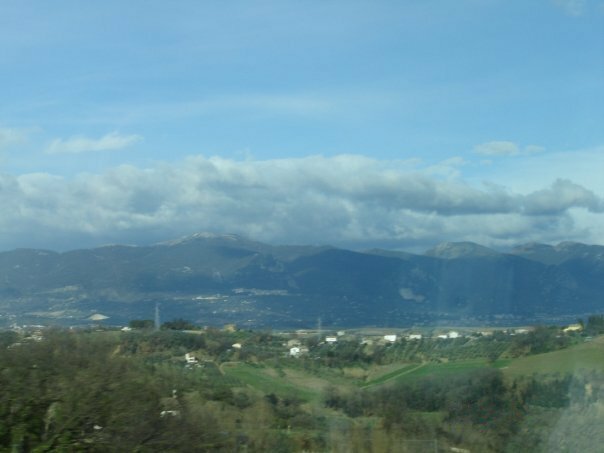 Italy is truly a phenomenally gorgeous country, and I could have easily filled an entire memory card solely with pictures of the hills, vineyards, and classic architecture. Although our time in Assisi was short, being in the small medieval town was one of my favorite experiences of our entire trip. It was a perfect start to our Italian adventure, and I wouldn’t change anything about it – except perhaps being able to use the bathroom without having to pay!